R3. 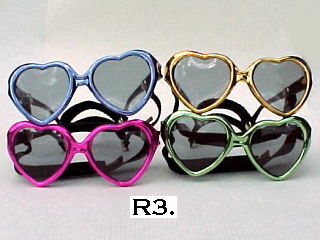 Heart Shaped Sunglasses for your dog. straps and velcro to hold them on dog's head. Mini - Fits Dogs 3-10 lbs. X-Small - Fits Dogs 11-20 lbs. Small - Fits Dogs 21-35 lbs. Medium - Fits Dogs 36-75 lbs. Large - Fits Dogs 76-100 lbs. R4. 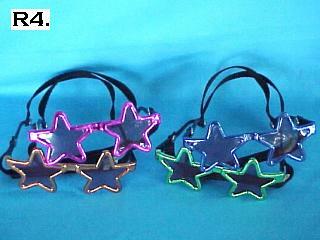 Star Shaped Sunglasses for your dog. R5. 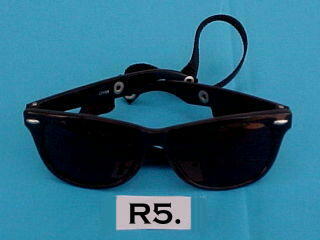 Black Nomad Sunglasses for your dog.